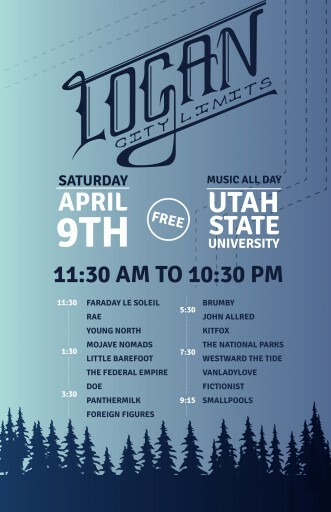 Logan, Utah — The Utah State University Student Association and Aggie Radio are proud to present chart-climbing band, Smallpools, at the seventh annual Logan City Limits music festival on Saturday, April 9 from 11:30 a.m.-10:30 p.m.
With Sean Scanlon on vocals, Michael Kamerman on guitar, Joe Intile on bass, and Beau Kuther on drums, Smallpools has crossed the country while developing their unique indie pop sound. 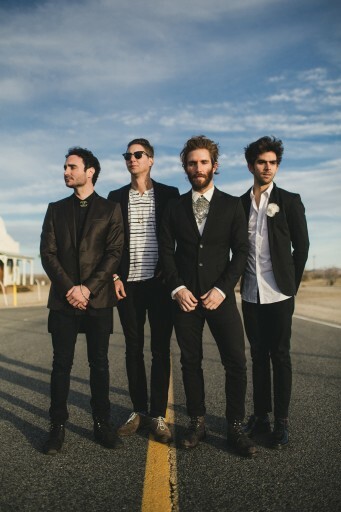 Their 2013 EP, Smallpools, featured breakout track “Dreaming” which earned the group over 4.5 million views and a performance on Jimmy Kimmel Live. Lovetap! — the band’s full-length debut — features airtight songs with a buzzy electro-pop vibe. Their style varies from clever and catchy to intriguing and ambient. Smallpools will be the headliner in a lineup of bands from Utah, California and Las Vegas. Provo-based folk-pop band The National Parks, Salt Lake City Weekly’s 2016 Band of the Year, will be performing, as well as the 2014 Band of the Year, Westward the Tide. Local bands Kitfox and little Barefoot feature students from Utah State University. Logan City Limits Music Festival featuring Smallpools, The National Parks, Westward the Tide and many local bands from Utah, Las Vegas and California. Utah State University April 9th, 2016. 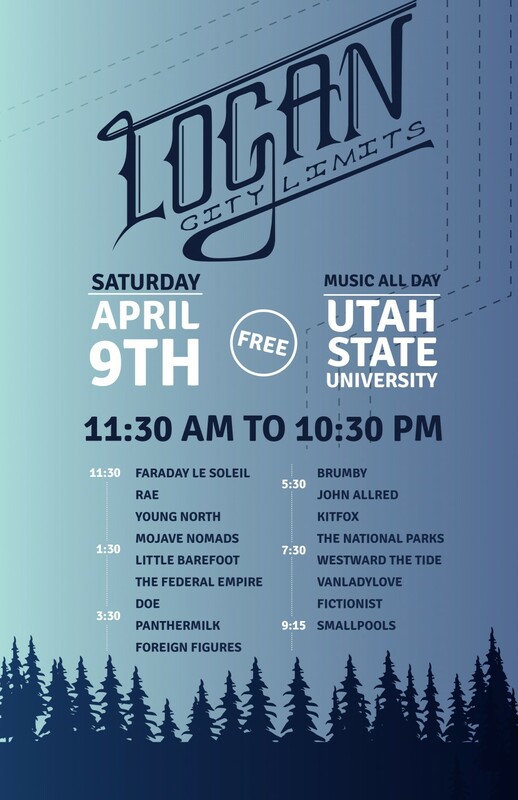 Logan City Limits will be held on the USU Quad, weather permitting. The event, which is Cache Valley’s largest music festival, is free to community members and students. For more information on the groups performing, visit logancitylimits.com. Performances will alternate between two stages with five-minute breaks between sets.